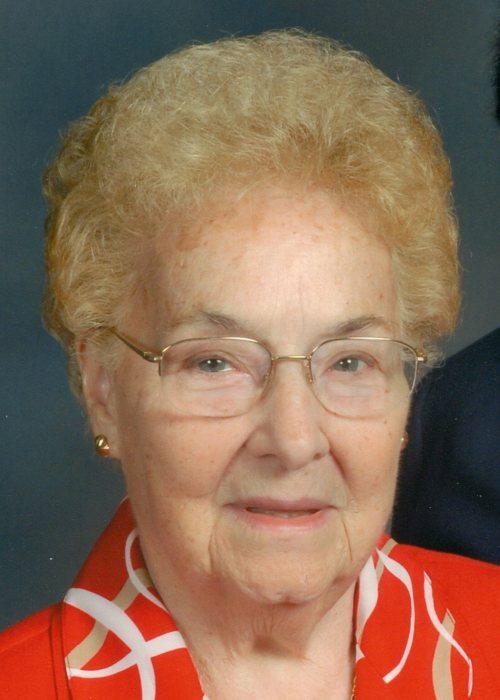 Obituary for Jean C. (Klingensmith) Stouffer | Clawson Funeral & Cremation Center, Inc.
Jean C. (Klingensmith) Stouffer, 93, of Allegheny Twp., PA, passed away on Tuesday, January 29, 2019 at Concordia Lutheran Ministries in Cabot. A daughter of the late Robert L. Klingensmith and Nellie Catherine (Keck) Klingensmith, she was born October 23, 1925 in Allegheny Twp., PA.
Jean had been employed as a clerk typist for the Civil Service during World War II. She then worked for Eljer in Ford City as a correspondence clerk before moving to Bedford Heights, Ohio, and working as a secretary for Nutritional Biochemical Co. for a couple years. Jean was a member of the Hebron Evangelical Lutheran Church in Leechburg, where she participated in W.E.L.C.A. and formerly taught Sunday School. She was a member of the former Women’s Club of Leechburg, Monday Evening Club and Allegheny Twp. Community Club. Jean enjoyed traveling, gardening and playing cards. Survivors include three daughters, Rosilynn L. Stouffer of Allegheny Twp., C. Renee Strine (Michael) of Westminster, MD, Shelley J. Corsi (Richard) of Hopewell, PA; and three grandchildren. In addition to her parents, she was preceded in death by her husband, Harold W. “Bud” Stouffer on February 1, 1999; three brothers, Chester R., Elbert J. and James R. Klingensmith; and a sister, Virginia Mae Patterson. Friends welcomed by her family on Friday, February 1, 2019 from 4-7 PM at Clawson Funeral & Cremation Center, 170 Main Street, Leechburg (724-842-1051). Additional visitation will be held from Noon until the time of funeral ceremonies at 1 PM on Saturday, Feb. 2, at the funeral home, with Pastor Ryan Pusch officiating. Interment following at Pleasant Hill Cemetery, 1030 Pleasant Hill Rd., Allegheny Twp. In lieu of flowers, donations in her name may be made to Concordia Lutheran Ministries, 112 Marwood Rd., Cabot, PA 16023.